Wondering if your favorite made the cut? Read this now! Sam, Marian, Angel... Who else made the cut? Click for more. The wait is over, and voters have spoken: model-actress Sam Pinto is the sexiest woman on this side of the globe. After weeks of rallying with fellow GMA-7 actress Marian Rivera for the top spot in FHM 100 Sexiest Women of the World, the former Pinoy Big Brother housemate and Captain Barbell star was finally declared victorious last July 1. This year's poll garnered over 30 million votes-with Pinto dominating results from online, text, and print ballots. 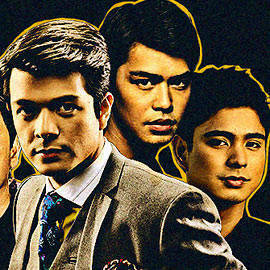 Rivera settled for second place while last year's winner, Angel Locsin, tumbled to the third spot. Catch the 100 sexiest women in country in the latest issue of FHM featuring cougarriffic 42-year-old Eula Valdez on the cover.